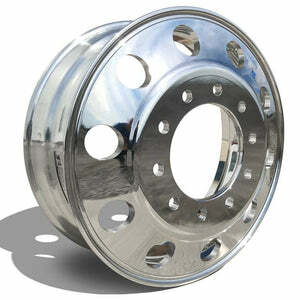 24.5" x 8.25" 10 Hole Hub-Pilot Polished for a Drive or Trailer Aluminum Wheel. Alcoa Part Number 983672. Fits most newer model Kenworth, Peterbilt, Freightliner, and Volvo Trucks.